Interesting innovation and possibly a beginning toward joining nerves. It is an area that has seen limited difficult progress so anything here is good. I do think that we will succeed in joining severed nerve trunks but also know that it will likely need this level of penetration and effectiveness at the least.. Whether it's as a research tool or a step in repairing severed nerves, the ability to join neurons together has some serious applications. If left to occur naturally, the process takes several hours, limiting its practicality. Now, however, scientists at the University of Alberta's Faculty of Engineering have developed a method of doing so within 15 milliseconds. Led by PhD student Nir Katchinskiy, the team started with two neurons, suspended in a solution that allowed them to touch but not stick together. A series of ultrashort femtosecond laser pulses were then applied to the point where the two nerve cells met. As a result, the cells formed a common membrane at that meeting point, melding them together like conjoined twins. 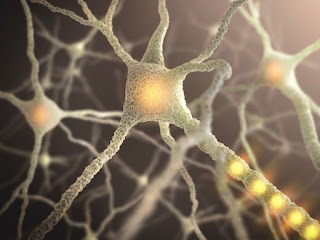 Even after multiple experiments, the neurons stayed connected and viable. There was some external damage to the protective layer surrounding each of them, but the inside surface of that layer remained intact. "The immediate application is for researchers," says Katchinskiy. "They finally have a new tool to do what they have not been able to do before." Although the technique probably won't be capable of reconnecting severed spinal cords anytime soon, the university has stated that it could be a step in that direction.